We are amongst the most reputed names in the industry, offering Flashlight Bulbs. With the aid of our experienced and expert professionals we are able to present a broad array of Torch and Flash Light LED Bulb which are used in electrical panels. Our team of skilled workmen keeps a strict vigilance on the entire product line by analyzing the product at different levels. Our reputed entity is engaged in supplying Flashlight Bulbs. 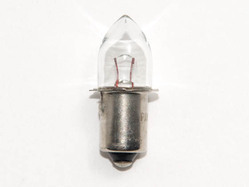 We are a top notch supplier of Torch Bulbs. We export LED Torch bulb that is affiliated with specially designed, which are powered by SMF along with an electric power switch. These types of torches are available in different shapes & sizes and are cost effective. 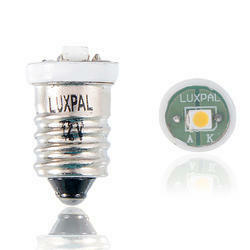 Further the LED torches that we offer are known for illumination and superior construction. They are made of high quality material. They are available at competitive prices. We are engaged in offering Flashlight Bulbs. Torch bulbs is the main product that we are dealing into. Akshay Jyoti Energies Pvt. Ltd.